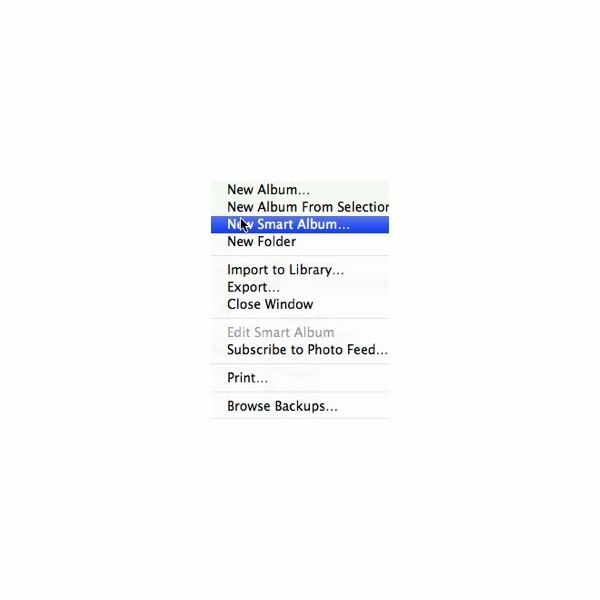 A Smart Album in iPhoto will allow you to have an album that automatically fills itself based on certain restrictions you set up when creating the album. My Smart Albums are set up to collect any movie files created after our baby’s birthday. Smart Albums are not just for movies, they are for photos also; but for the purpose of this article I am focusing on movies. Setting up a Smart Album in iPhoto is easy. In the File menu choose “New Smart Album.” (image 1). You will then be presented with a dialog window to set up the parameters of your album. You’ll want to enter a name for the album to help you find your files later. In the “Match the following condition” section you will find pull down menus to set the restrictions on your album. You can add restrictions by clicking the “+” sign. Restrictions can be set up to filter files by date, file types, ratings (if you rate your photos and movies), keywords (if you use keywords for your files), file size, and more. (image 2). If you want to remove a restriction just click the “-” button next to that restriction. Some of the restriction categories will require you to enter additional information. For example, you might want the album to find movies that contain the word “baby” in the title. Another smart album might just collect files from 2008. The choice is up to you. 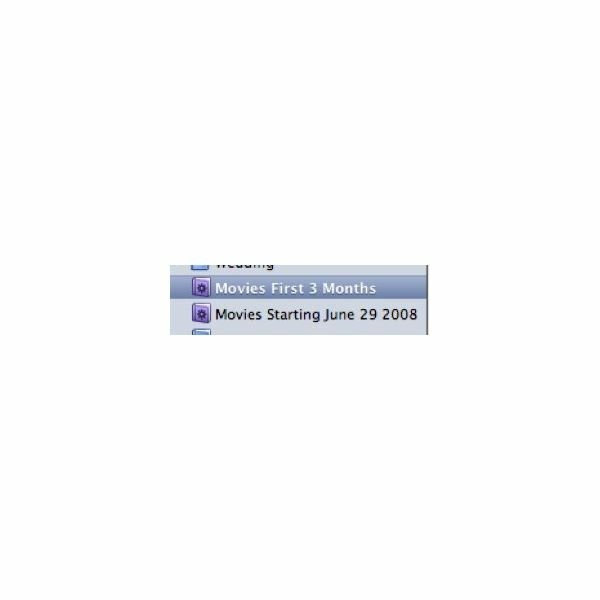 To collect movies files select “Photo is Movie.” iPhoto thinks the movie files are photos, so you have to tell it to pick out those that are movie file types. Date is after 3/12/2008. The baby was born on 3/13, so I want movies from that date forward. Once your restriction are set, click “OK” and all files fitting the restrictions will automatically go right into the album. Any new content added to iPhoto matching these restrictions will automatically be added to the Smart Album. If you decide you don’t want a certain Smart Album in your library anymore just click the album and press “Delete” on your keyboard. That’s about it. Smart Albums are easy to set up, and a great way to help organize your iPhoto library.